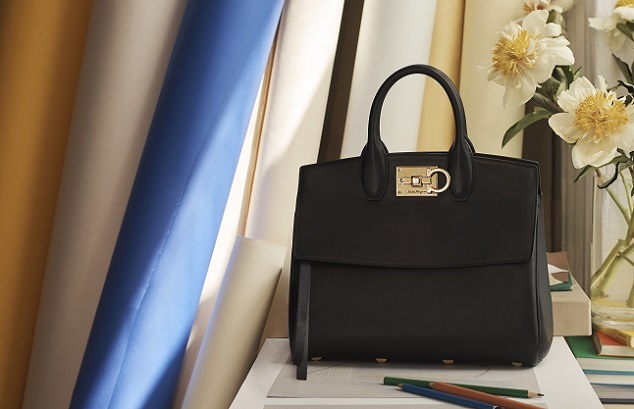 Salvatore Ferragamo celebrates the launch of “Ferragamo Studio Bag” under the Creative Direction of Paul Andrew with New York based, European artist Ana Kras. The studio is revered as a powerful space for creatives to design, photograph, dance and ultimately explore the endless depths of the imagination, just as it was for Salvatore Ferragamo himself. 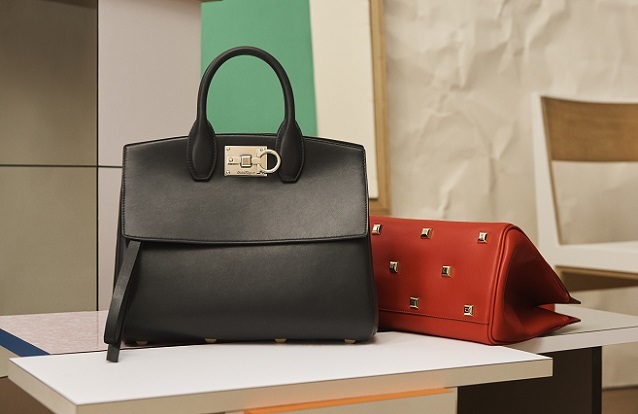 The “Ferragamo Studio Bag” celebrates the founder’s first studio, the Hollywood Boot Shop in California with a digital project marking the first exploration of the distinct colours developed for the Pre-Fall 2018 Collection by Paul Andrew. 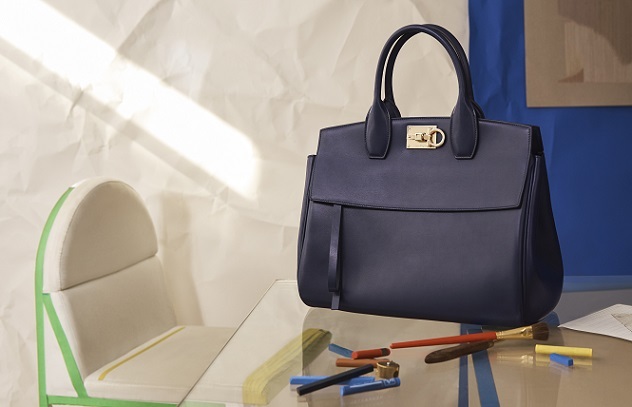 Through a series of images and short films, Kras opens up her private art studio as she celebrates talent and craft, each inspired by a distinct colour and style of the “Ferragamo Studio Bag”. Artisanal craftsmanship becomes the seamless link between Ferragamo’s dedication to Made in Italy, the Florentine tradition of handmade craft, and the delicate yet precise, refined movement of the artist’s hands – the ultimate tool of her trade across all media - a simple reminder of skilled workmanship. 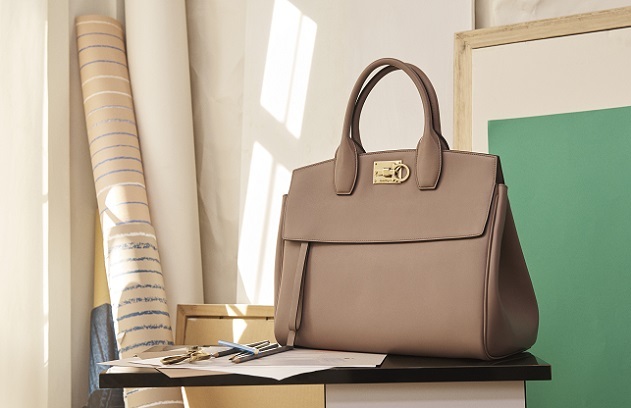 Kras embodies the essence of the “Ferragamo Studio Bag” woman: an independent, contemporary creative with effortless personal style and purpose, demanding form and function. The artist works in several different fields simultaneously - furniture and object design, interior architecture, drawings, paintings, sculptures, photography and fashion. Two special-edition versions, one in metallic silver, the other distinctively colour blocked, celebrate the founder’s first studio, the Hollywood boot shop. Exclusively 95 of each edition will be produced as homage to this year’s 95th anniversary of the studio’s opening on Hollywood boulevard. 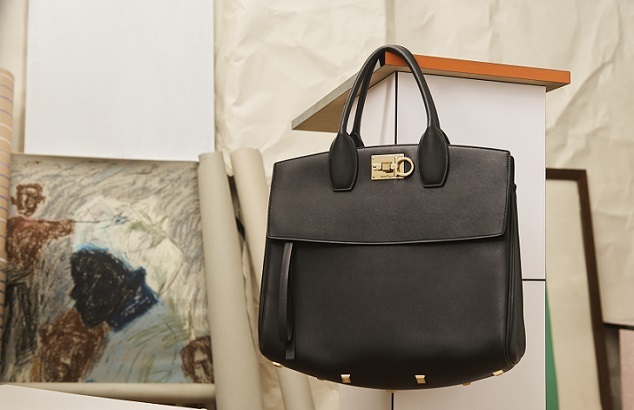 “Ferragamo Studio Bag” comes in three sizes and has a classical rectangular profile. 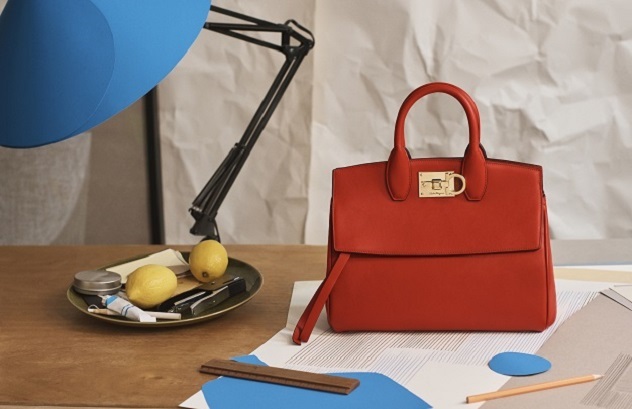 Salvatore Ferragamo’s cutting-edge technical expertise has been applied to create a bag that combines strength and robustness in a lightweight and flexible profile. 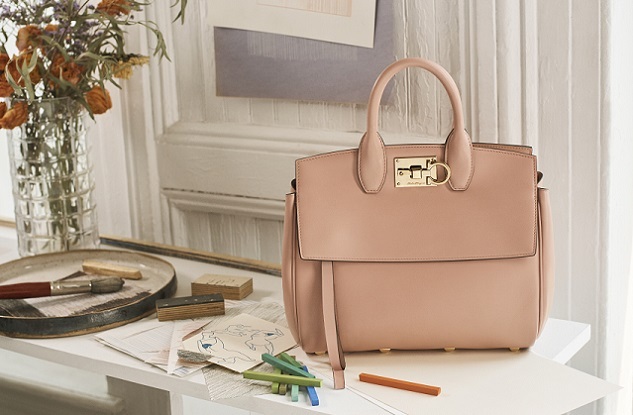 It is handcrafted from all-natural top-grade Italian leathers by Ferragamo’s highly-skilled Italian artisans. Metal studs dot the “Ferragamo Studio Bag” base.